One thing lacking in game design, especially when it comes to interactive storytelling, is a proper set of terms. While I do not think having a precise terminology will directly aid in making games better, it will help us communicate better. As proper communication is crucial for progress, proper terms are indirectly an important part of making better storytelling games. Because of this, I am going to go over some terminology that I find essential, what I mean by them and why I define them in a certain manner. This is not meant to be a list of terms that I want everybody to adopt. Instead I want it to start a discussion so that we can come a bit closer at agreeing on the terms we use to discuss these matters. I have changed my terms quite a bit over the past few years and I am prepared to do so again. I need to go over a few things before I start. When choosing a term and its definition I think that, if possible, one should use an existing word and to use a definition that is close to the word's common usage. 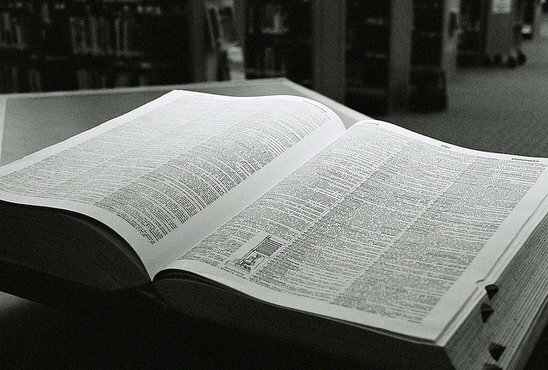 Making up new words often just adds to the confusion, making it harder to communicate. In some cases it is needed, e.g. I find "affordance" to be a very practical term, but in the case of interactive storytelling we have so much existing terminology to derive from that I do not find it necessary By choosing a definition that is close to the common usage it also makes it possible for uninitiated people to follow a discussion; it makes misunderstandings much less likely. What constitutes "common" is of course a bit vague (to game developers? people in general? ), but it at least set up some guidelines which is better than none at all. With that out of the way, let's start. Story is arguably the most important word and probably one with the fractured meaning. I see "story" as a container word that encompass a lot of different parts. The most significant are: Theme, Setting, Characters, Plot and Narration. I will get to each of these in a bit, but before that I need to discuss why I chose this definition. First of all, the reason why someone enjoys a story does not need to be a the exact way that the events unfold. It can be the beautiful environments, the snappy dialog, the dense atmosphere and so forth that makes the story engaging. There is never any specific criteria that makes one say "this story is good", instead there is a wide range of elements that can make a story great. Second, the definition reflects how stories are created. A story always starts out as some seed idea; a specific person, situation, plot twist, etc, and is then built around that. A setting is determined, characters are created and other elements are fleshed out. These added elements are not the core of the story, they are there in order make the initial idea come to live in the best way possible. Third, it makes for a very inclusive definition that suit videogames. Games often have a lot story elements, yet often lack some of the more common elements like dialog or plot. If a story is only a carefully planned sequence of events then many games, some vital for understanding interactive storytelling, are left out. At the same time the definition is not so broad as to become meaningless; Tetris is still not a game with much (or any) story, while Limbo contain tons. Given the above way of seeing story, "storytelling" is pretty straightforward to define. It is simply a way to communicate the elements of a story to an audience. They way we are most used to doing this is in the form of a linear sequence of events, but this is not the only way to go about. When doing interactive storytelling, the story is communicated as the player interacts with systems, each representing a part of the story. This is sort of the holistic intent of a story. It can be things like: premise, message, subject, an intended experience; anything that deals with a core idea that permeates through the story. Despite not being a concrete part of a story, like an environment or a character, it is still something that has to be taken into account. Just like a character needs to fit with the environment, all elements of a story need to fit with the theme. "Where does the story take place" is the question this term answers. It is not just the physical place, but also the time period, history, weather conditions and so on. It describes all the background conditions for the story. This is probably the story element that is most common in a game. Even games that lack all other elements can still have a very strong setting. Anytime some intentional action is performed, a character is there to perform it. This term simply applies to any sentient agent that takes place in the story. It is trivial to point out characters in a book or movie, but for a game it seems like is a bit harder. For instance, are the enemy ships in Space Invader characters? How about the turtles in Super Mario Bros? In both of these examples, I think one might just as well lump them into the character element. Both of these games both have very thin stories and are not really any attempts at interactive storytelling. As far as I can tell, the vague character cases come solely from these sort of games. They never arise when there is stronger focus on the story. In Uncharted, for example, all the cannon fodder enemies are pretty clear cases of character story elements. Also important to mention is that this term, like all the others, come with sub terms. Inside the term character are things like dialog, relationships and destinies. A plot is a sequence of events, each event occurring in a specific fashion. This sequence can be a branching one; the important factor is that all is set and known beforehand. It may seem a bit strange to set this as its own separate element of a story; after all, any book or film is composed out of events laid out in a preset fashion. This notion is also why it is so common to see plot and story as pretty much the same thing. When you deal with books or movies, there is not a big problem with this view, but for games it is disastrous If a story is something that is laid out in an exact unchangeable manner, then an interactive game is unable, by definition, to tell a story. (A line of thinking which I have seen academic papers written about). So it seems obvious why one wants plot to be different from story; interactive storytelling other than Choose-Your-Own-Adventure would be an oxymoron. There is however a deeper, and more important, reason for this separation and it lies in how stories are created. When a writer starts a story, most of the events are unknown. Instead it starts with some seed (as discussed above) and is then fleshed out from that point. It is constantly revised and polished. During this process, the exact events, either the planned or already written, are in constant flux. Most of the time other things are much more important than a precise happening. Only a subset of events need to happen in an definite fashion; the rest are just there to realize other elements. Together, all the crucial events make up the plot. If a person A needs to be at location B at time C, then this is part of the plot. The way in which person A accomplishes this is of less importance, and thus the manner of transportation is not a plot point. Thinking in this way makes it a lot easier to think about interactive stories. The final story element is the way in which the story is told. At the highest level this deals with things like chronology, how cuts are made, the voice of the teller (e.g. first person) and the subjectivity of the telling (e.g. unreliable narrator). All these concern the basic framework for how the story is put together. It is a basic definition of narration that most agree to. Narration can be thought of having lower levels as well. In a book or movie, most of the story can come from the protagonist simply making certain actions, but in a game the interaction makes this a lot harder and other tricks are needed. Examples of this is using audio logs or spoken narration (as heard in Bastion). Therefore I find it best if the term narration also includes very specific devices that help communicate the story. My proposed definition for this term will probably be a little harder to get a across, but I think it is a very important one. In common language "narrative" is pretty much a synonym to "story". My definition, however, is the subjective experience of the player; the personal sequence of events and emotions that the player has when playing through the game. It can be said to be a player's account of her experience, but that would not be entirely accurate since what I am after is the raw direct experience of actually playing the game. First of all is that we need a word for the personal experience; story does not sum it up as it does in other media. However, this definition still applies to other media too. As explained in for the term "plot", every last detail of the final work is not a part in the story, thus it can be said the final version a book or movie is not a story, but a narrative of a story. Second, it allows us to talk about intended narrative; the experience that we want the player to have. This can be in pretty rough terms, but it is a very helpful way to talk about it. Third and final, why not just use the word "experience"? Because it is too broad. When we talk about narrative, we mean the story focused experience. For instance, a shoot-em-up game give rise to a very complex experience, but the story material that is communicated is very thin and simplistic. A game that is focused on a providing an engaging narrative is a game where every part of the experience is directly connected to the story. Important to note is that a good story does not mean a good narrative. The elements in the story can be very compelling, but if they fail to be communicated in an engaging fashion, the narrative ends up a bad one. This term is really hard to pin down as it easily becomes too wide or too narrow. One could simply say that gameplay happens anytime the player interacts with a system in the game, but that does not really hold up how most of us use it. Mostly it is only a subset of possibly interactions that serves as gameplay. For instance , if a bushes waves a bit when the player walks past, few call this gameplay. Having this wide definition also makes it so close to simply "interactions" that it becomes meaningless. On the other hand, one could say gameplay is any interaction that is framed as a goal oriented challenge. This is seems accurate as it agrees with many common forms of gameplay (puzzle solving, shooting bad guys, matching blocks, etc). However, it becomes problematic in terms of storytelling. If the aim of a game is to provide the most powerful narrative possible, then that goal often clashes with that of creating challenges. When creating a game about storytelling, characters should be perceived as proper elements of the story (with emotions, motives, etc) and not just an obstacle or power-up. Because of this, a game with heavy focus on narrative might have to cut down a lot on the challenge. However, it does not seem right to say that means the game must do away with gameplay as well. If a game offers non-challenging interactions with character or other parts of a story it becomes very restrictive, and unhelpful, to instantly claim none of this can be called "gameplay". Thus, there needs some other way to define it. My conclusion is that gameplay occurs whenever "the mental game space of the player contains a horizon of potential actions that allow for planning". This may sound a bit cryptic, so let me break it down a bit. First of, the "mental game space" is the player's subjective perception of the current state of the game. Important to note is that this does not have to match up with the actual computer state of the game. The player might imagine there is a monster behind the corner when in fact there is none and so forth. The "horizon of potential actions" are actions that the player can see themselves doing in the future. There might be potential actions that are too far away for the player to directly imagine a path to, and these are not part of the horizon. Also, there might be actions that are possible to do, but does not seem meaningful to the player (e.g. jumping off a cliff) or are hidden (e.g. an alternative path to a location). Neither of these are part of the action horizon. Finally, "allow for planning", means that there is some sort of end goal for the player and that the actions on the horizon can help in getting there. This definition cast a pretty wide net on what gameplay can be, but at the same time also excludes a bunch of interactions. Anything that just happens by chance is not gameplay, neither are actions that lack some sort of goal. A caveat is that this definition can apply to just about any 3D editor, word processor or similar software. But when used in the context of interactive storytelling, there is no real issue. What is good about this definition is that "gameplay" is not just a binary term. Instead, one can talk about the frequency, action width and narrative relation of the gameplay. All of these shape how the game is played. The higher the frequency of the gameplay, the quicker the action horizon change. A large action width means that the player always have a lot of options on what to do next. Finally, narrative relation means how much the gameplay connects with the underlying story. Important to note is that this term is not a value judgement. Of course, in a storytelling game we want the player to be inside a narrative, but that does not mean that gameplay always have to have narrative relationship. Normally this word is used for describing how "real" a game feels, but I think that is the wrong usage. Immersion is simply the state of being very focused on an activity. This can happen for instance when reading a book, watching TV, playing chess and of course playing a videogame. Whenever the rest of the world fades away, and your sole attention lies on a single thing, that is being immersed into something. I think this is the way the term is commonly used, and it is also the most useful for storytelling. Immersion does not rely on crafting something believable; it is simply a measurement on how much attention a game gets from the player. However, I think it is possible to use "immersed" when talking about believability, but then one has to precise and say, for instance, "immersed in the game's world". Now it is clear that we are not talking about any kind of focus, but very specifically about feeling strongly connected to the game's virtual world. I think it is important be very clear in this manner as discussions can otherwise become really fuzzy. For example, if I suggest that replaying breaks the immersion, then somebody might counter that they sure as hell were immersed when playing Super Meat Boy. In my statement I meant the specific usage world-immersion, but the response meant the more basic focus-immersion. Further debate becomes pointless as me and my interlocutor are talking about different things. Closely related to immersion is "the sense of presence". I think this is a great term for talking about the feeling of being inside a game's world, as it basically means being present somewhere. Even though someone has never hear the term before, they can easily guess what it means, and it is harder to make false connections. This makes it a lot better to talk about presence than immersion when discussing the sense of being somewhere else.. So how to define "presence"? If we simply take it as "the feeling of present in a fictional place", then it becomes hard to know exactly what to strive for. What does it really mean to feel more "present"? With immersion, we only talked about the focus; in that case it was just a matter of how much of the player's attention is directed at the game. But "being more/less present" is either awfully close to the definition "immersion" or very fuzzy. How much how of the mental model (ie, what we use to predict and make plans) for the game overlap the with the game's story. If we treat characters like real people then presence is strong; if we treat them like robots then presence is weak. How much involuntary reflexes are triggered in accordance to the story aspects of an event. If the player makes a quick jerk when an objects is coming right at their face, then presence is strong. If the player does not shiver a bit when entering a cold environment, presence is low. The stronger the game achieve the above criteria, the stronger sense of presence it has. By thinking about the relationship between the actual story and what is going on in the player's head, we get a very clear idea of what presence really is. This makes discussions on this subject a lot easier and also makes it easier to set up goals for oneself. These are all the terms that I wanted to bring up. There are a few more, some of which I will cover in the notes, but I think the above are the mostly commonly used and the most important ones. Keep in mind that these definitions are not meant to be something set in stone. It is the first step in a conversation and I am interested in hearing what everyone thinks of them. Super Meat Boy is a game where the player dies A LOT. It is a very good example of when a game can be very repetitive, but remain immersive. Script for a lecture in which I go over how challenge can be damaging to games with storytelling. An older post that explains more of the reason for the above definition of storytelling. Related to setting and characters are the words "fiction" and "lore" as well. I do not want to give any clear definitions on these, mainly because I do not use them very often, other than saying they are subsets of "story". They share a lot of the the elements in a story, but I never think one use the word as meaning exactly the same as story. Most often they are used with the meaning of something very similar to "setting". Another word that can be worth touching upon is "mechanic". Normally this is just a shorter version of "gameplay mechanic", thus it is any system that helps gives rise to gameplay as defined above. This is not limited to pure code and logic, but it can also be text, graphics and sound. Slender: The Arrival is the commercial version of a free game called Slender. The original was based upon a a simple concept: find eight pieces of paper before the Slenderman, a now famous creature that started out as an internet meme, gets you. I wrote a blog post about the game when it was released and as a short experiment I found it quite interesting, but wondered how one would make it into a longer experience. So when I heard a commercial version was in the works I became quite curious, and gave it a go soon after release. My initial guess was that the game would essentially be like the original, but set in different locations. Each of these would have special collectibles, instead of the original's pages, and some form of modifiers, e.g. mud that makes movement slower. So when I launched the game, I was quite surprised to find out that it started out as an adventure game. 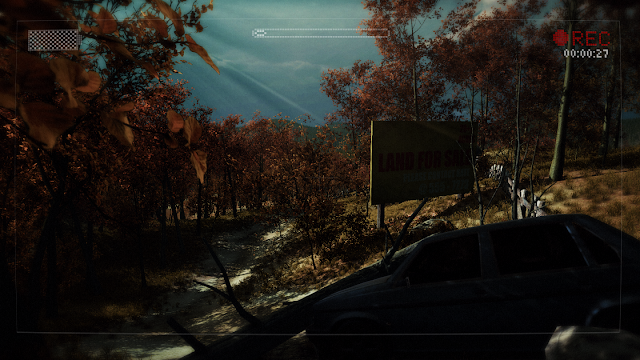 Slender: The Arrival began with my car having broken down somewhere in the forest; I was met by a beautifully rendered forest path, the sun was shining and there was a sense of calm. As I started walking the sky got increasingly darker and by the time I arrived at a desolate house it is almost pitch black. This was a very simple start, but also an extremely effective one. It set up a notion of how things ought to be and gave something to contrast with later on. Part of the trick was also that I knew there would be a Slenderman, but had no idea what shape it would take. The game had planted an idea in my head and put me in a very suggestive state. Walking around in the abandoned house, I found notes, news clippings and other things that hinted of normality. But among these were also signs that something was wrong. At first it was just some weird graffiti and the tone of some texts, but as I progressed further things got worse. Having found a flashlight and a key I came across a room filled with weird sketches. Numerous of these depicted a dark, slim figure. My hear-rate was quite rapid now. The slow pace combined with my expectations was making my imagination run wild. Approaching a window, a scream echoed through the night. I did not want go outside, but felt that I had to. I exited the house and entered the woods. Being unsure where to go I headed in the wrong direction and became lost in the wilderness. At this point a slight distortion appeared on my screen and a vague whisper was heard. Normally, I am not very affected by horror games, but at this moment a chill literally ran down my spine. I was honestly unsure if I could continue playing the game any longer. The build-up was hitting with some force. Eventually I found my bearings and headed in the direction of the scream. I walked through a gate and a new map loaded. I started the new map facing a canoe and some ranger cabin; the environment did not seem to fit and the house I came from were nowhere to be seen. Instantly I had a real problem with the continuity. It felt like I had been transported somewhere else entirely. Walking around I also quickly figured that I was supposed to collect eight notes scattered around the area. I had no idea why, it made no sense to my subjective narrative. All of this meant that my sense of presence took a drastic drop; a drop from which it never recovered. The game was still spooky, but a far cry from what it had been. I managed to pick a few pages and it was not long until I got visual distortions and heard creepy sounds. I quickly understood that this was simply a mechanism for telling me when Slenderman is getting closer, and it never became very effective. Soon after I had some sightings of the creature too. It was spooky at first, but could not compare with the terror felt during the prologue. The encounters became increasingly frequent and the effect was lost. Finding the notes turned out to be tricky for me, and I found myself running in circles most of the time. At this point my sense of presence was obliterated and the game had lost all of it horror. It is all just a mechanical and repetitive trudge.I eventually died and tried again, but never managed to to complete the level. I quickly checked some guides to make sure was not missing out on some upcoming twist, but it seemed the collect items style of gameplay remained throughout. I felt I could not really bother forcing my through the levels and gave up on the game. Despite being let down (or rather having my predictions confirmed), my time with the game was extremely valuable. The prologue was fantastic and induced horror in way that I have not felt in a long time. While the game failed to make use of its excellent introduction, it gave me a lot to think about, providing more insights into what really makes a great horror experience. Most of the creepiness comes from the game featuring perfectly normal situations and locations. It is easy to draw parallels between the game's scenery and your own life experience. There is no need to figure out the world and your place in it, all that comes automatically. This makes it possible to become immersed in the atmosphere almost instantly. It also makes the game leave a certain amount of dread behind after you have finished playing. It is worth noting that having normality can cause problems as it also sets strict assumption of how the world should work. This is mostly problematic when a game has a wide range of interaction possibilities. It often cause players think some actions ought to be possible but are not or that the world behaves in the wrong way. Slender: TA escapes this problem by limiting the interactions available. When I first entered the house in Slender: TA it was engaging to explore it; every room I visited added to the atmosphere. But once I had gone through all rooms I was unsure how to progress. This state lasted for quite a while and I just ran aimlessly around trying to figure out what to do next. It turned out I had just missed a, not very visible, flashlight and were therefore been unable to properly explore the pitch black rooms. For the five or so minutes I was stuck I was pulled out of the fantasy. This tells me that is is of utmost importance that the player does not get lost like this, especially at the start of the game. When a game is all about atmosphere it must always be clear for the player how to continue. One must make sure the focus is to become part of the virtual world and not to figure out its rules. Slender: TA has this problem later on as well, and is an excellent example of why maintaining the flow is so important. When I started out the game, I felt like as part of a narrative. Sure it was not the a very complex one, "car breaks down and it starts to get dark", but it felt consistent and was easy to become immersed in. The most important aspect of this is that the player's thinking becomes centered around story elements. Happenings are not evaluated as output from a rule system, but as occurrences inside a story. This is a strong contributor to the sense of fear; for instance, sounds are not just part of some random event generator but utterances by the world that the player inhabits. However, Slender: TA is not able to sustain this for long. The narrative reason for moving on became increasingly vague, and I soon found my self doing things simply because the game told me so. This is devastating from a horror standpoint as the world now get treated as system. The fiction is no longer the point of reference, but any event is evaluated in an abstract manner. It is often said that a really immersive game should get rid of any HUD elements. This is simply not true, and in many cases it is actually the opposite. Among many things, the HUD can be used to portray information impossible to display, help keep the player on track and add to the story of the game. In this game the HUD is that of a camcorder; looking at your shadow early in the game shows that the protagonist is in fact holding an actual camera. In a way this is a bit forced (why would one be recording at a time like this?) but I think it is rectified by the positive effect it has on your sense of presence. By having this filter between the world and your vision, you are never seeing anything directly; it becomes easier to accept the rendered, artificial world. By using this kind of HUD the game also emulates the feel from a shaky cam ghost/ufo/bigfoot/etc video, something which is closely tied to the mythology of the Slenderman and increases the effect further. The camera HUD is also a great vessel for the visual effects that happen when Slenderman is near. Static noise, image tearing and chromatic aberration (where the components of a color are spread out) are all common camcorder artifacts and shaky video tropes. It is a great way to symbolize the presence of an evil being and connects the game with the surrounding fiction. In weird way, this also links the game to real-life: if you see any of these signs when filming, you will interpret them in a very different way. Despite all the good stuff, I think the HUD is still underused. The most obvious thing to add would be some kind of navigational help. This would be a great way to fix the flow problems that were pointed out earlier. The camera HUD would also have been great for displaying story information; messages and strange images could pop up in the HUD and give more depth to the narrative. The house at the beginning contains two a posters with logos of the developers. I really dislike things like this. There is no reason for these posters to be in the house apart from being an attempt at a joke - a joke that I think few appreciate. If a game wants to have a world that the player take seriously, these type of things are horrendously out of place. They destroy the sense of disbelief and makes the player less likely to put any significance to objects found in the environment In a game like this it is crucial to make sure of ever last detail serves a purpose and help tell something of the game's story. They should never be used to deliver some lame joke or easter egg. Summed up, Slender: The Arrival is far from a great game and has many flaws. But it also contains some excellent things. Especially noteworthy is the the build-up, which is one of the best I have ever seen in a game, rivaling my memories of the first Silent Hill. The bad elements are also bad in a very enlightening way, which makes the game especially interesting. It is a must play for anyone interested in horror. My blog post on the original free version of the game. The counter intuitive idea that a a HUD can actually increase immersion reminds me of Metroid Prime (from 2002 on Gamecube). Here all HUD elements are displayed on your visor which sort of exist in the actual game world. This visor HUD is also used to enhance other effects such as rain, and does so to great effect.